Until recently, nearly every police agency in the nation relied on an interrogation practice called the “Reid Method.” This harsh method aims to squeeze confessions from suspects through stress, fatigue, intimidation and sympathy. A recent research paper by a University of Virginia Law student suggests the Reid Method is highly likely to elicit false confessions. Agencies that use the Reid Method now are likely to land on the wrong side of history. The method is being discarded in many police forces as unreliable. A leading consulting agency that trains police in interrogation techniques announced in 2017 it would no longer train investigators in Reid interrogations. Wicklander-Zulawski & Associates announced it would train investigators in non-confrontation techniques geared to finding truth rather than arbitrarily eliciting confessions. 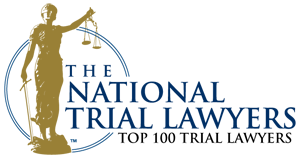 The consulting firm is among leading provides of interrogation training to police agencies nationwide, including the alphabet-soup agencies of the federal government. Most people have heard the term “third degree,” but do not realize that it refers to age-old police interrogation tactics. The “third degree” included things we consider outrageous today, like beating, kicking, or burning a suspect. Deniable physical abuse was especially popular. This could include beating with rubber hoses or sandbags because they left no marks. These tactics were never legal in America, but they certainly occurred outside of the public’s eye. Reports of suspect abuse came to the public’s attention in the 1920s, though, and the U.S. Senate demanded an investigation. The investigation, led by Attorney General George Wickersham, produced a 14-volume report in 1931 that touched off a national scandal. The Wickersham Commission reported that police departments across the country were using “barbaric and lawless” tactics on suspects across the country. This led to a clamp down on physical abuse by police. Yet confessions are a key law enforcement tool, so many police departments were searching for something to replace physical abuse. A former Chicago police officer named John Reid stepped up with an interrogation method that he developed using his experience and understanding of what some would call “folk psychology” that is not particularly rooted in science. The Reid Method has three basics steps. First, the police should engage in factual analysis to decide who they think is guilty. Second, the police interview the suspect in a non accusatory manner to get a sense for how he or she behaves. Finally, the police will bring the suspect in for an interrogation. According to the Reid Manual, only guilty people should be interrogated. That means that once a suspect is being interrogated the police are no longer trying to find the truth, instead they are trying to force the suspect into confessing. Prosecuting someone who has confessed to felony charges, even if they later recant, is far easier than proving to a jury a suspect committed a crime when he or she otherwise adamantly denies the allegation. Once a Reid interrogation begins, police presume guilt and cut off the suspect’s attempts deny culpability. The suspect may be offered ways to “minimize” the crime, perhaps by being told it might have been justified. Interrogators might lie about how much evidence they have, telling the suspect he or she will inevitably be convicted if a trial were held. Police using the Reid techniques often isolate suspects for hours, even discouraging them from demanding a lawyer. It can be difficult to imagine that anyone would make a false confession, but extensive research shows that it happens. Suspects are sometimes interrogated for hours and subjected to all sorts of psychological abuse. 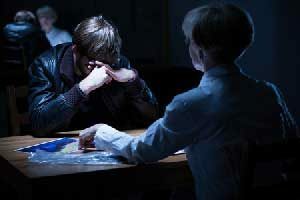 Sometimes a hungry, tired, and scared, a suspect will confess just to end the interrogation, figuring they can establish their innocence later. Police can also be so good at forcing a confession that they may even convince an innocent person he or she is guilty. The New Yorker’s recent article Remembering a Murder you Didn’t Commit told the story of six convicted murderers who were exonerated by DNA evidence after two decades in jail. They all remained convinced of their own guilt. The police did such a good job lying to these suspects about the evidence of their guilt, that even today they have dreams about committing the murder. Always Demand to See A Lawyer! The University of Virginia paper concludes by arguing that police across the country should move away from the Reid Method to more open-ended questioning methods, which research shows is more likely to get to the truth and not just to a confession. Until police make that change, though, it is very important that any suspect understand that the police will usually only interrogate you to get you to get you to confess. If you are being interrogated, we highly recommend you refuse to answer further questions until you see a lawyer. 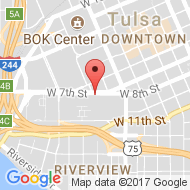 Contact a Tulsa criminal defense attorney from one of Tulsa’s leading law practices, the Wirth Law Office, at (918) 879-1681 for a free consultation.